- DOM based XSS passive scanner add-on for Fiddler4. 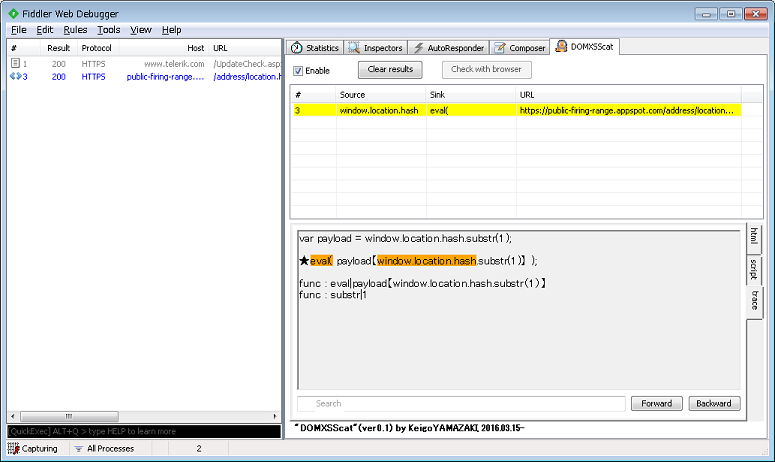 This is a "DOM based XSS passive scanner" add-on for Fiddler4. You need to install Fiddler4 (NOT Fiddler2) to be able to use this add-on. Check "Enable" checkbox to use this add-on. If DOM based XSS's "source"&"sink" is detected, it will be displayed in listbox.